It uses a 26MP CMOS sensor and DIGIC 8 processor, along with a Dual Pixel AF system. This gives 4779 selectable AF points spread across an 88% horizontal / 100% vertical area of the frame. Canon is emphasizing the RP’s compact size – its 12.7 x 9.7 x 6.1 cm (5.0 x 3.8 x 2.4″) dimensions make it even smaller than a EOS Rebel T7i / 800D. 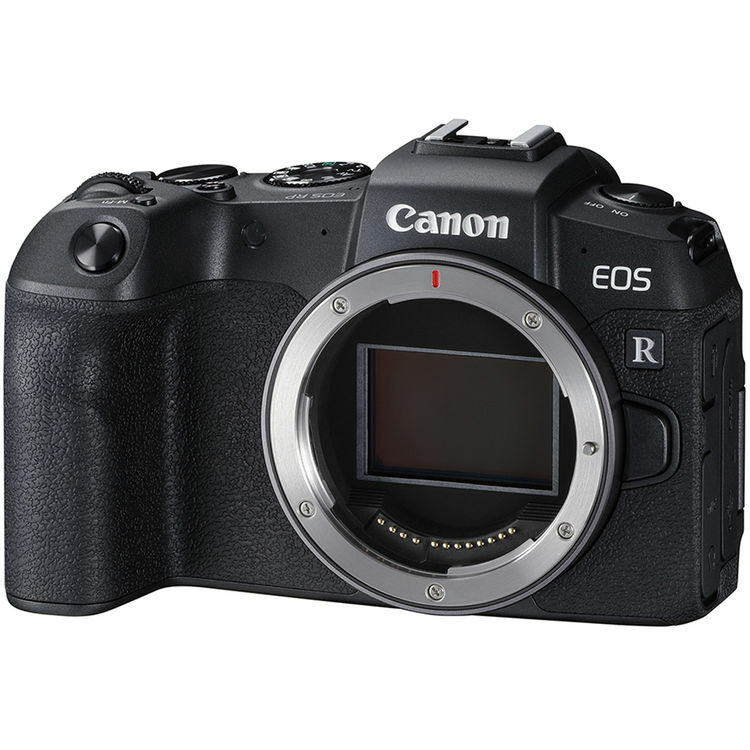 MELVILLE, N.Y., February 13, 2019 – Responding to the demand from amateur and advanced amateur photographers for an entry-level, full-frame mirrorless camera, Canon U.S.A. Inc., a leader in digital imaging solutions, today announced the second camera in the EOS R lineup, the EOS RP. The EOS RP is designed for photographers looking to step up from Canon’s APS-C cameras: the EOS Rebel, EOS M and the EOS 80D, into the world of full-frame mirrorless photography. Weighing in at just 17.29 ounces, the EOS RP camera is lighter than a 500ml bottle of water and smaller than Canon’s popular APS-C DSLR camera, the Canon EOS Rebel T7i, coming in at approximately 5.0in (w) x 3.77in (h) x 2.36in (d). With optics at its core, the EOS RP takes full advantage of the complete line up of RF lenses and is compatible with the existing collection of Canon’s EF and EF-S lenses with the use of one of three optional RF EOS-R Mount Adapters . The new Canon EOS RP full-frame mirrorless camera features a 26.2 megapixel CMOS sensor that is powered by the company’s DIGIC 8 image processor, providing users with high-image quality, outstanding operation and functionality. The new Canon EOS RP features Dual Pixel CMOS Auto Focus (AF) with 4,779 manually selectable AF points and a wide AF coverage area of 88 percent horizontal and 100 percent vertical. With f/1.2 lenses, the camera astonishingly boasts AF sensitivity in low light in as little as Exposure Value (EV) -5. When using the RF 24-105mm F4 L IS USM lens with the EOS RP, the camera can focus in as little as 0.05 seconds with Dual Pixel CMOS AF . When using eye detection AF, the camera can automatically detect faces and focus on the eye of the subject. This feature is supported when the camera is set in either servo AF mode during continuous shooting and movie servo AF, as well as one-shot AF. Previous Previous post: Full Specs of Canon EOS RP, US Price Starts at $1,299 !